For our latest case study, we headed over to Bournemouth, UK, to chat with trained chefs Amy and Des Burke. The two Flavours School of Cookery co-owners say that using Bookeo for the past 7 years has kept them, well, cooking with gas. Starting out, the culinary duo worked in the tropical jungles of Bali – and the equally treacherous concrete jungles of London. They chopped, braised, and served everything from Thai street food to French haute cuisine. Once their salad days were over, the Burkes knew they wanted to work for themselves in a more relaxed, fun environment. 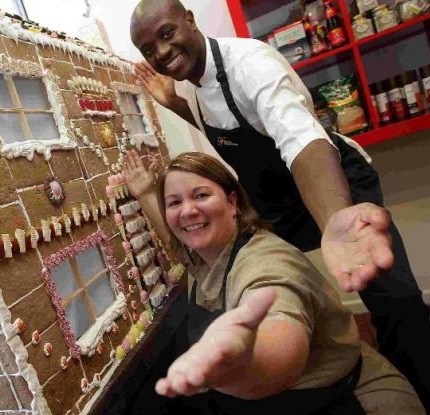 So in 2009, they opened Flavours School of Cookery, offering a variety of cooking classes and clubs for kids and adults in the Dorset region. With Amy’s business savvy and Des’ approachable star quality in the mix, Flavours’ classes quickly filled with a continuous flow of customers. That was great news – but it quickly became obvious that taking bookings and information by hand was simply not going to be feasible for long. Finding Bookeo, Amy tells us, “was an a-ha moment.” Now, with Bookeo, they never lose track of repeat customers, or waste time gathering the same information two and three times. Bookeo’s online booking takes care of 60% of their bookings, complete with payment processing, accurate scheduling, voucher sales, trackable refunds, and even a MailChimp integration to streamline marketing. And with 6000 customers on their books, that’s a big deal. As the demand for their cooking classes grew, Amy and Des could see that they’d need to expand their offerings in number and variety. But they didn’t want to spend all of their time taking reservations; they needed an online booking system that could handle their growth. Out of all the online booking systems they tried, Bookeo was the only one with the flexibility to handle the variety of classes, clubs, and instructors they wanted. Today, Flavours School offers too many classes to list here (a few enticing options include Caribbean Soul Food, Curry Curry, and Gourmet Pub Crawl). It also offers a myriad of entertaining cooking clubs. Amy says that Bookeo’s flexible backend makes it all as easy as pie. Even with so much on their plate, Amy and Des have been able to grow their business while maintaining their personal quality of life. They say that Bookeo is reliable and allows them the free time they need to recharge their batteries in between classes. While they’re at home, however, they can check into their business anytime. Amy loves that she can grab her laptop if she has to view a class or change something. Bookeo’s cloud-based admin means all of her school’s info is easily accessible anytime, anywhere. Most of all, Amy and Des appreciate how Bookeo is regularly updated with new features based on client feedback. It gives them confidence that Bookeo’s always listening to its customers and working to create a better user experience. 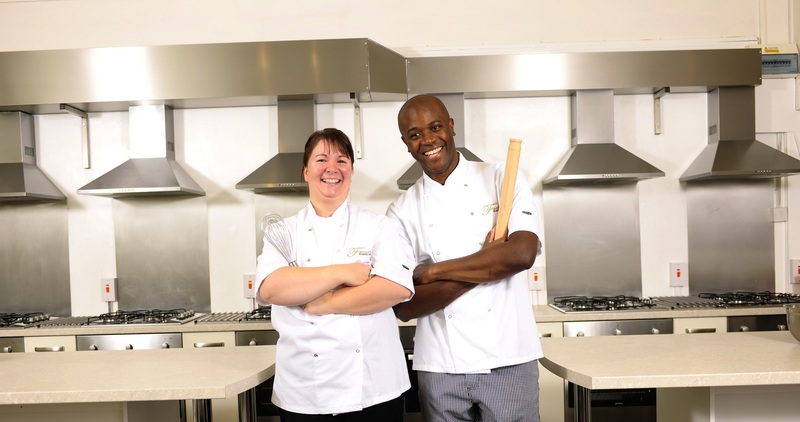 At Flavours School of Cookery, every student’s pastry or pasta may not come out perfectly – and that’s OK. Amy and Des run their school to share their knowledge and love of cooking while showing their students how much fun they can have in the kitchen. With Bookeo on their side, the proof is in the pudding.